These 20 Instant Pot freezer meals and recipes can be made ahead of time, making healthy meal prep simple, efficient, and delicious. Now that winter is on its way in, there are a few reasons to stock up the freezer. Preserving leftover summer produce from the garden. Back to school season! Whether it’s you or the kids, everyone needs those easy lunches or weeknight meals. Soups and stews to warm up when you need an immune boost or a comforting meal. Prepping ahead of time for parties and holiday events. Staying healthy through the influx of heavy foods and sweets that the season brings on. Truly, this mentality applies to any season or any time of year. The point is, freezing food makes batch cooking simple. You can load up on recipes you love without worrying about finishing them before they go off in the fridge. It’s important to know what foods do freeze well, and what foods you shouldn’t freeze. As a rule of thumb, it can be tricky freezing with dairy (though many soups with a dairy base are okay) or freezing foods with too much water content (i.e. watery veggies that aren’t cooked), but the best things to cook are foods that contain a sauce. Soups, stews, curries, and chilis are perfect for this. Fortunately for us pressure cookers, these dishes are the Instant Pot’s speciality. It’s also important to note that you should always let food cool to room temperature before freezing, which helps preserve the texture of meat and veggies – particularly in soup. Bust out the freezer bags and your Sharpie for labelling, and let’s get cooking with 20 freeze easy Instant Pot meals! Rice dishes tend to freeze nicely. This Jambalaya is based on an authentic Creole recipe boasting Andouille sausage, prawns, chicken, and an easy-to-make roux for a hearty yet healthy meal that’s gluten-free. Make a big batch, because this is definitely one of those meals that won’t have you complaining about leftovers! Chicken noodle soup is a MUST during the fall and winter months. Between the cool weather, allergies, and germs being picked up from school, keeping the immune system strong is crucial. This recipe is chock full of the good stuff, budget-friendly, and deserves a spot in your freezer. Step up the nutrition with homemade bone broth in the Instant Pot. Meatballs are a freezer necessity. Seriously. If you aren’t making ’em, you should be. They’re a great snack to grab for protein and a lovely addition to any pasta dish whether you include grains or opt for spaghetti squash or zoodles instead. Mince and tomatoes are cheap to buy, and this one-pot recipe makes it easy to whip up some impressive Italian cuisine. Cabbage rolls are good and everything, but we like minimal effort when it comes to stocking up our freezer bounty. They essentially taste the same un-stuffed anyways, and this soup is a good example of how you can make that work. Plus, it’s low-carb and keto-friendly, using riced cauliflower in place of white rice. Yum! What’s a freezer without a little lasagna? And no – we’re not talking about Marie Callender’s signature recipe. Anyways, we’re pretty sure she never thought of the genius combination of lasagna noodles and chicken burrito filling. Also, you can’t make that in your Instant Pot, and what fun is that? We’re not going to lie – there’s nothing glamorous about meatloaf from the freezer for dinner. That is, until you infuse it with crispy, smoky bacon and plenty of cheese. We all need a little true comfort food sometimes. This is it, and even the kiddos won’t be complaining. If you’re trying to keep things healthy, this soup is the recipe for you. It’s vegetarian and vegan-friendly, bursting with plant protein from perfectly cooked black beans and loads of vitamins and minerals from sweet potato and tomatoes. Keep some handy for topping off with tortilla chips, avocado, a dollop of sour cream, and some cheese if you fancy it. Tamales are so simple to grab for dinner. You can easily pop them in the microwave for dinner in five minutes later down the road, so invest your time wisely and make a big batch of these for tasty Mexican nights at home. A tasty, well-blended soup is a must-have. It pairs well with all sorts of garnished, and I especially like to top it off with some shredded chicken for protein. Carrots are a fabulous immune booster, high in vitamin A and vitamin C. This veggie-heavy dish will keep you in tip-top shape while enjoying every tasty bite. All meatballs are a good choice for a freeze easy meal. These ones work really well because they’re preserved in a Japanese gravy, meaning they’ll taste just as good – if not better – when you enjoy them later down the road, after the flavours have marinated for some time. This recipe is paleo, gluten-free, and perfect for an Asian food fix. Pot roast makes a good freezer-friendly meal because you can tuck it away in a bag with its braising liquid, helping to retain that gorgeous flavour even months down the road. It will pair up well with freshly cooked veggies and potatoes down the line, or you could freeze those too! Chicken pot pie may very well be the definition of true comfort food. It’s creamy on the inside with a flaky, buttery crust on the outside, bursting with tender chicken, peas, and carrots. It’s another one of those microwave meal guilty pleasures. Turning it into soup or a stew saves you the hassle of having to use more than one dish and it will freeze up nicely. Now, this is the ultimate winter warmer. The change of seasons brings on a taste for warming spices, rich meat, and sweet dried fruit all neatly packaged in a flavourful, healthy stew. Good news! We did the hard work for you. All you have to do is pick up the ingredients and toss ’em in the pot. It’s practically instant from there. Casserole makes a good freezer meal. You can easily portion it off into individual slices, or tuck it away as a family-size meal if you’re feeding a crowd. In any case, the whole family will love this one, encompassing everything you love about twice-baked potatoes – cheese, bacon, sour cream, and plenty of butter. To freeze in individual slices, let it cool first, then cut the desired sizes and freeze them flat on a baking sheet. Then, transfer them to bags. Beef stroganoff is another meal that’s simple to put together, and pairs up with so many different sides, so it will be a good choice no matter what you have handy. Steamed potatoes, plain rice, pasta, cauliflower rice, or any veggie – this is the flavourful, protein-packed main component to anything you throw together. Rice, beans, and chicken – this is a combo you just can’t go wrong with if you want filling, fast, cheap, and healthy. Say what? It’s a rare combination, but it’s true. You can make it dairy-free, serve it on its own, or pair with tortilla chips. This recipe even includes instructions on freezing them in single-serving portions and how to re-heat. Win! This paleo chili might be lacking in legumes, but you won’t miss them with a juicy, mouth-watering blend of both beef and chorizo. As they cook, the juices infuse the chili with an unparalleled flavour you’ll definitely look forward to digging into on one of those nights you just can’t cook from scratch! This is one sure-fire way to get the kids pumped up about eating leftovers. You can even toss some additions into the mix. In any case, it beats anything you’ll find in the freezer aisle, boasting real cheese, creaminess, and flavour to prove it. Some people prefer their chili on the lighter side. If that’s you, a blend of creamy cannellini beans (white beans) and shredded chicken will do the trick. This bowl is packed with nutritious fuel. How tempting is takeout when you’re craving Thai? The answer is very. The good news is that if you have some in your freezer, you won’t have to wait for delivery. Re-heating a bowl of this will likely take less time, and you can rest assured that you’re getting something both nutritious and delicious. Do you do freezer batch cooking? If not, maybe these recipes will inspire you to make some meals ahead of time. 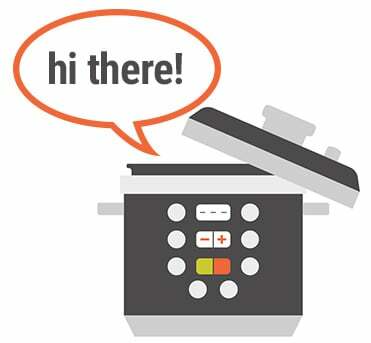 Make sure to share as we spread the word about how much simpler the Instant Pot makes a life! Hi, I’m not sure how to freeze ahead most of these recipes. For example, the Japanese turkey meatballs says to cook the meatballs on sauté for a few minutes. How would I freeze ahead this recipe? Hi Hannah, Cook the meatballs completely as directed by the recipe and then freeze the meatballs after once they have cooled. If I am reading correctly, are all these recipes cooked first and then frozen?